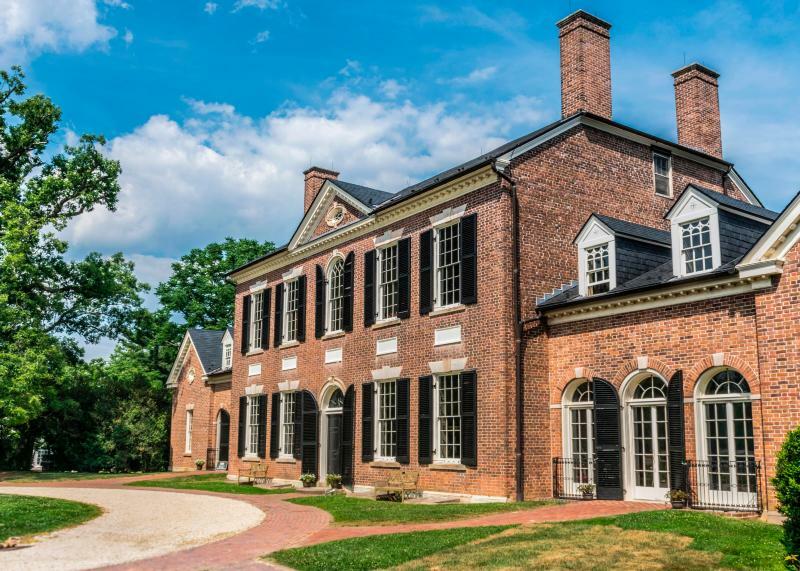 Tour Woodlawn Manor and Pope-Leighey House in the George Washington Memorial Parkway Corridor. View the vast differences in architecture from the early 1800’s to 1900’s in a unique juxtaposition along US Route 1. Woodlawn Manor and the Pope-Leighey House both rest along Route 1 a few miles from George Washington’s primary estate, Mount Vernon. Woodlawn was the National Trust for Historic Preservation’s first site. Washington gifted Woodlawn to his wife’s granddaughter, Eleanor “Nelly” Custis Lewis, and her husband, Major Lawrence Lewis, as a wedding gift. The Federal-Georgian-style house was designed by architect Dr. William Thornton, who also designed the U.S. Capitol Building. Constructed between 1800-1805, Woodlawn was operated using many workers, including slaves from the African continent until 1846, when Woodlawn and the surrounding acreage was sold to a group of Quakers (Society of Friends) from Pennsylvania and New Jersey. There were five Friends who purchased the Woodlawn estate of 2,000 acres, and reformed Woodlawn into a free-labor operating estate, an enterprise that was thought to be quite controversial at the time. The Alexandria Friends Meeting building still stands today along the entrance to Woodlawn Manor. 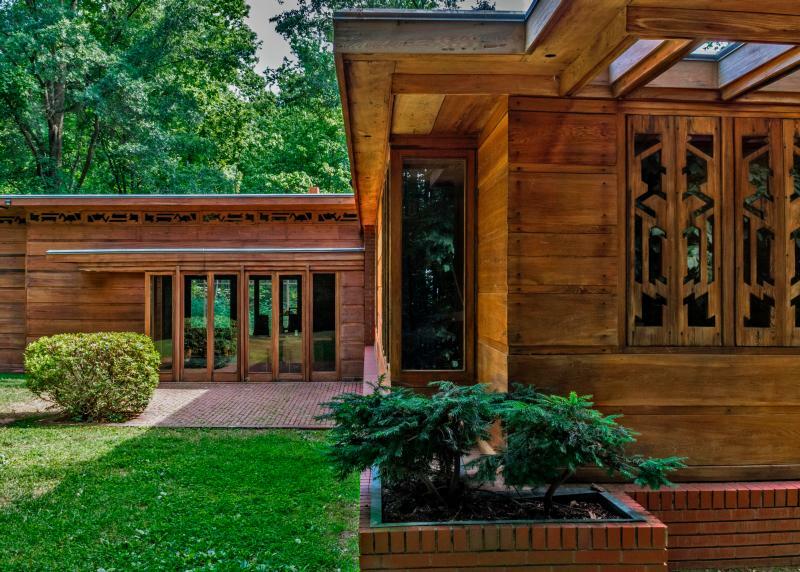 The Pope-Leighey House, formerly known as the Loren Pope Residence, is a “Usonian” style house constructed in 1941. The house was originally built for the Pope family in a series of middle-income residences that Wright designed and built. The house was relocated to the Woodlawn Estates when it was threatened by demolition to make way for Interstate 66 in 1961. The Arcadia Center for Sustainable Food and Agriculture is also present on the grounds. Please visit Arcadia’s page for more information on their programs and community involvement, including children’s program. Tours of the Woodlawn House and the Pope-Leighey house usually run 30-40 minutes. As an architecture aficionado, someone could spend up to half a day here, as the grounds are extensive. Please note that the Pope-Leighey House is a 5-7 minute walk from the ticket office located in Woodlawn. All ages are welcome, but young children should be accompanied by an adult parent or guardian. Tickets can be purchased for tours of both Woodlawn Manor and Pope-Leighey House, either separately or together for a discounted price. Woodlawn and Pope-Leighey House is located at: 9000 Richmond Highway, Alexandria, VA 22309. For more information on hours and directions, please visit the Woodlawn and Pope-Leighey’s Page. Tickets are purchased on-site at the Woodlawn Museum Shop. All visitors must be accompanied by a guide while visiting the sites. The Woodlawn and Pope-Leighey House sites are open from April to December, Friday through Monday from 11:00 a.m. to 3:00 p.m. the grounds shut completely down at 4:00 p.m. The Woodlawn and Pope-Leighey House sites are open from April to December, Friday through Monday from 11:00 a.m. to 3:00 p.m. the grounds shut completely down at 4:00 p.m. Wheelchair ramps and paved paths make the grounds for Woodlawn Manor and the Pope-Leighey House accessible by wheelchair. There is handicapped parking available. For more information on accessibility and accommodations, call 703-780-4000.